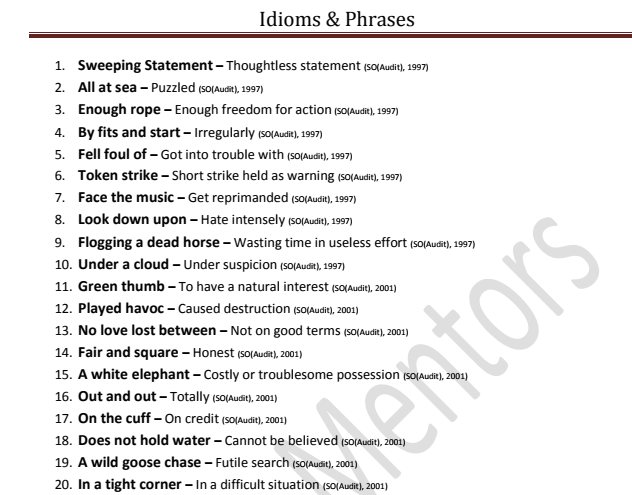 Dear Friends, We are sharing e-pdf document of Idioms & Phrases were asked in various SSC Exams. This document very useful for CGL Tier 1 & Tier 2, CPO Prelims and Mains, CHSL and competitive Exams. We are pleased to thankful to the online Mentors who prepared by this PDF document. You may download PDF document from the link provided given below.